One of our most popular dishes is our famous fresh salmon at Farm Stand! In keeping with this theme, we encourage you to learn some basic cooking methods to create your own healthy fish dishes at home. After all, aren’t we always told to eat fish at least 3 times a week?! 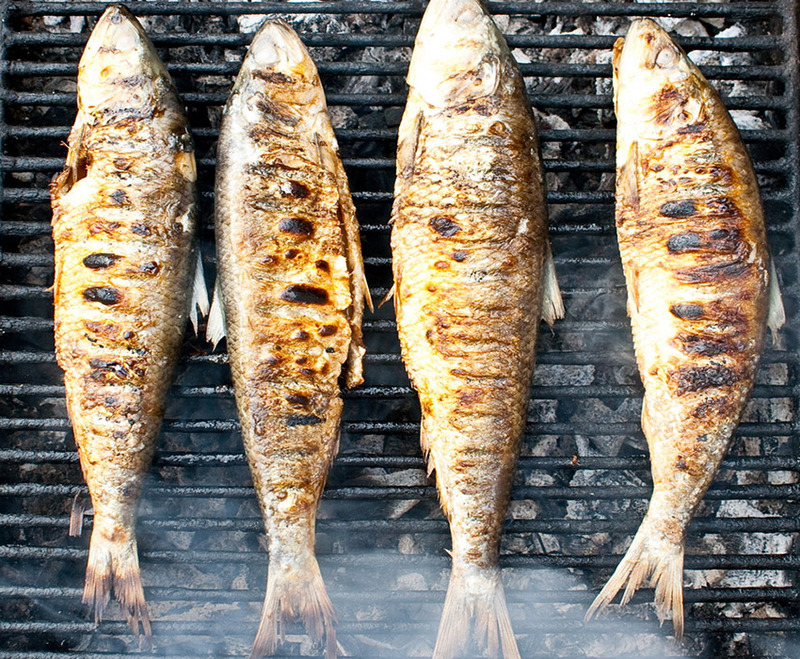 Grilling: probably the quickest and easiest method for cooking fish, grilling imparts a hearty, smoky flavor and delicious blackened edges and striping to fillets and whole fish. It is best for thick (at least half-inch), meaty fillets or steaks with strong flavor that can stand up to the smoky tang of the grill. Swordfish, tuna, salmon, mackerel, and bluefish are ideal choices because their natural oils help keep their flesh moist. Sauteing: pan-sauteing is a favorite way to cook fillets of fish — especially thin, delicate ones like trout, sole, or flounder. The fillets are quickly cooked in a hot saute pan in very hot fat, leaving them with a crisp exterior and moist flesh inside. Dusting the fillets with a light coating of flour before sauteing will help the fish develop a delicate crust. Roasting: Fish can be roasted in the same manner as meat – uncovered, with no liquid, in a high-temperature oven – and with similar results: a papery, crisp exterior and tender flesh with concentrated flavors inside. While it’s possible to roast fish fillets, this cooking method lends itself best to whole fish. Stuffing the fish’s cleaned cavity with aromatics, like lemon wedges and whole branches of fresh rosemary and thyme, will perfume the flesh more potently than anything you rub on the outside. Baking in parchment: a fish cooked en papillote is wrapped in parchment paper, and baked in a medium oven so it gently steams in its own juices. Aromatics, such as dill, sliced onions, and olives, are also enclosed in the package to flavor the fish. When the fish is done, the parchment will puff dramatically. Steaming: setting fish over simmering water allows fillets of white-fleshed fish like cod and halibut, as well as small whole fish like sea bass, to retain their delicate flavor. You do not need an expensive steamer; a wok with a wire rack and cover works fine. Poaching: this refers to foods that are gently cooked in water or broth at the barest simmer. Poaching firm-fleshed fish in a liquid flavored with vegetables and herbs provides a rich, fat-free broth that can be served with the fish or reserved to use as a soup base. Tags: Baking, Barbecue grill, Cook, En papillote, Fish, Flavor, Sautéing | Permalink. Summer is our favorite time of year, not only because we get to relax on the beach but also because it is the peak of avocado season! There are so many reasons why we love avocados. There seems to be endless health benefits to this “superfood.” Avocado is considered to be the perfect balance of protein and carbohydrates, keeping you full without packing on the pounds. The fruit can help maintain a healthy heart and even protect against certain cancers. Avocado can even help with your hygiene! 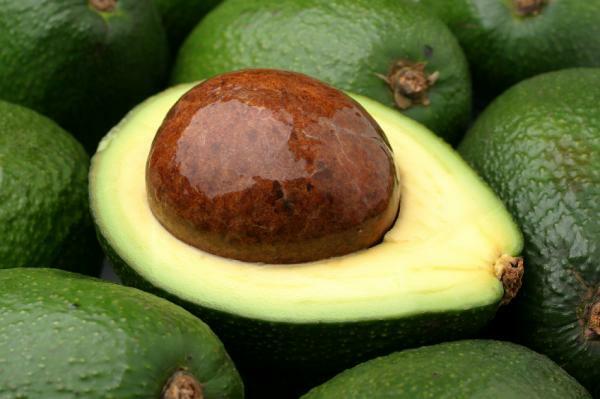 Chock-full of vitamin A and antioxidants, avocado improves the health of skin, hair and nails. Eating avocado can even cure bad breath because it aides intestinal food decomposition! Because avocado is such a perfect food for overall health, we want to eat it as much as we can! We love it in our yummy Tomato & Avocado Salad! If you’re struggling with how to creatively incorporate avocado into your diet, these ideas may help. Avocado is a tasty and healthy alternative for mayonnaise. It is also a great additive to smoothies for added texture and thickness. Another delicious option is to spread avocado on toast in place of butter. Eating this superfood everyday will have you feeling super-great! Tags: avocado, fruit, market, nonGMO, organic | Permalink. As you may know, we at Farm Stand are vehemently against using GMOs in our dishes and you can always rest assured that we will offer only the best quality and most nutritious options for your health – we promise. But why are we hearing so much about GMOs and what ARE they exactly? Virtually all commercial GMOs are engineered to withstand direct application of herbicide and/or to produce an insecticide. Despite biotech industry promises, none of the GMO traits currently on the market offer increased yield, drought tolerance, enhanced nutrition, or any other consumer benefit. Instead, evidence connects GMOs with health problems, environmental damage and violation of farmers’ and consumers’ rights. In most developed countries, including Australia, Japan, and all of the countries in the European Union, there are outright bans or restrictions on the production and sale of GMOs. In the U.S., the government has approved GMOs based on studies conducted by the same corporations that created them and profit from their sale! Increasingly, Americans are taking matters into their own hands and choosing to opt out of the GMO experiment. Unfortunately, even though Americans want to know if the food they’re purchasing contains GMOs, powerful biotech lobbies have succeeded in keeping this information from the public. 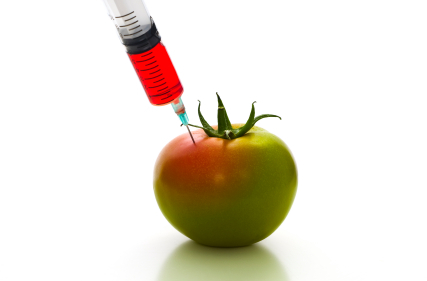 According to a recent poll, 53% of consumers said they would not buy food that has been genetically modified. In the U.S., GMOs are in as much as 80% of conventional processed food. Why tamper with the natural state of our foods? Live longer, feel healthier and look younger by eating Non-GMO foods! Tags: el segundo, farm stand, healthy, local, los angeles, natural, nonGMO, nutrition, organic, sustainable | Permalink. Summer is our favorite time of year here in Southern California. It brings us warm sunshine for long beach days, happy thoughts and genuine smiles, and our favorite indulgent fruit: strawberries! 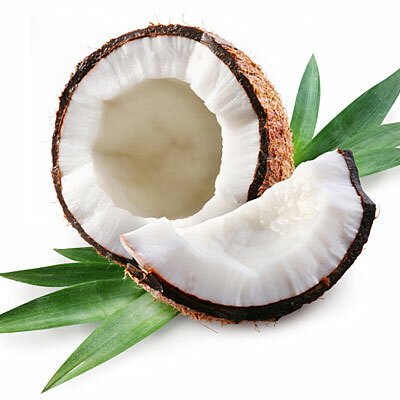 Although it is one of the more sugary of the fruits, they are abundant with health benefits. This sweet red berry is an excellent source of Vitamin C (which boosts immunity), contains antioxidants (which promote eye health, such as preventing cataracts in the eyes), and even fights cholesterol! Copious amounts of this treat are available at any of your local farmer’s markets, be sure not to miss them! Today we would like to share with you one of our favorite ways to enjoy this treat: smoothies! With only a blender and a few ingredients needed, here is a delicious and easy way to indulge with this summer favorite. Add all ingredients to blender and blend until smooth and creamy, pour into a glass and enjoy! 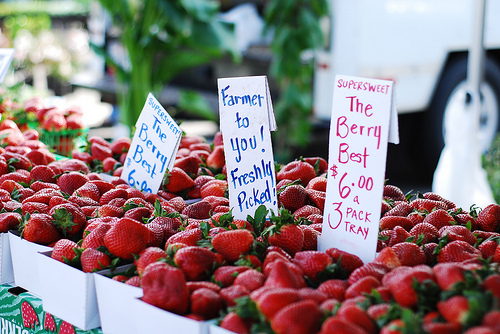 Tags: el segundo, farm stand, organic, recipes, smoothie, strawberries, summer | Permalink. We all love and need a little olive oil in our lives- it’s nearly impossible to cook without it! However, at 120 calories per tablespoon and high in fat, it’s not the ideal ingredient for those trying to stay healthy. What is one of our favorite alternatives? 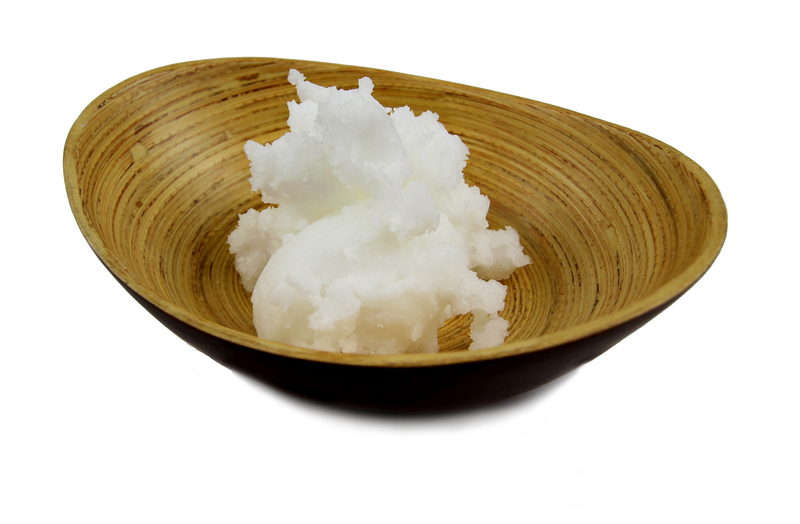 Coconut oil! Researchers found that consuming about 3 tablespoons of coconut oil a day is sufficient for helping anyone achieve these benefits. Anyone can do this by replacing the usual olive oil when cooking or even blending it into a smoothie to add a little extra delicious coconut taste! When purchasing coconut oil (which can be found at any of your local all-natural foods stores), be sure to look for organic virgin coconut oil in order to attain the full benefits (hint: we love this one here)! Tags: clean eating, coconut, coconut oil, el segundo, farmstand, health benefits, los angeles, organic | Permalink.